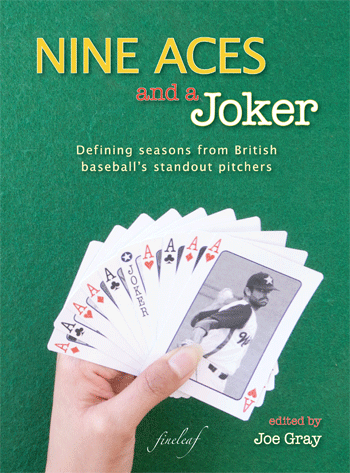 Nine Aces and a Joker: Defining seasons from British baseball’s standout pitchers was published by Project COBB several weeks back and is available both in print and as a Kindle eBook. Copies of the print version will be on sale for £12 at all three days of the National Baseball Championships, at Hemel Hempstead, this coming Bank Holiday weekend (come and see me if you would like to purchase one — I’ll be glued to the action on the newer diamond). What about the Villa? : Forgotten figures from Britain’s pro baseball league of 1890, the first book to come out of Project COBB, will also be on sale (at a price of £10 when bought individually or for just £6 when bought in addition to Nine Aces and a Joker). This is also available in print via the publisher’s website.